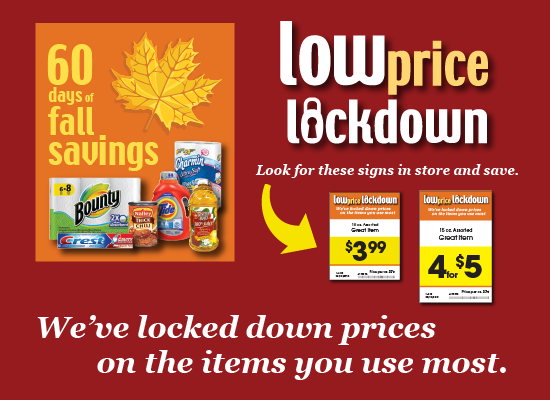 Low Price Lock. Another Way to Save. What is Low Price Lock? 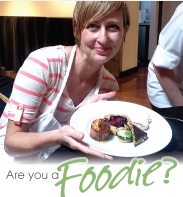 For all you foodies out there…take a Salt Lake Culinary Center Cooking Class. Learn some new recipes for Fall favorites like chowder and some great holiday snack recipes for the holidays. Please check with your local Macey’s to learn more about their Little Theatre schedule. Below is the November schedule for the Macey’s in Providence. Tuesday, November 4th @ 7pm: Healthy, Happy Holidays: The holiday season is one of many overwhelming stresses, and too many relatives visiting to count. One of those stresses should not be an increasing waistline. The Food Sense Girls will show us how to create holiday recipes that will make you feel great inside and out, rather than putting us into a food coma. Thursday, November 6th @ 7pm: Snazzy Snacks: One of the best parts of the holiday is definitely the holiday snacks. Chex mix, caramel corn, and muddy buddies are just a handful of great treats we love for the holidays. Relda Sandgran will bring a handful of her favorite holiday snack recipes to perk up the neighborhood get-together. Tuesday, November 11th @ 7pm: Charming Chowder: If you are chilled to the bone from the icy chill of a Cache Valley winter, you don’t want to eat a sandwich! You want something that can warm your frosted body-soups & chowders! Tiffany & Kevin Olsen are ecstatic to show off their favorite soups & chowders. Tuesday, November 18th @ 7pm: Seasonal Surprise: Even though it’s now fall, that doesn’t mean that we need to forget the wonderful recipes from past seasons, or the ingredients we find in them. Shauna Flammer will be here to teach us some of her new and interesting recipes that aren’t necessarily from this seasons category. Tuesday, November 25th @ 7pm: Sensationally Sarah: This class is all about Sarah Wall’s favorite recipes. She dabbles in everything from baking layered cupcakes to Teriyaki Chicken. She always has something new to share! Thanks for spending some time on the Macey’s blog we hope you join us for some Fall fun! Everyone’s lives get hectic from time to time, so it’s always good to have those quick and easy meals in your back pocket. Just in case. This easy chicken alfredo recipe can be frozen for a simple pop in the oven dinner. Keep reading to learn how to make it! 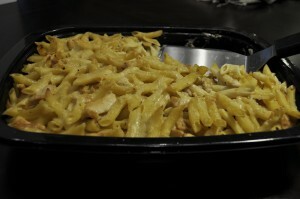 Freezer meal tip: before baking, cover top and place in freezer to enjoy later. When frozen, bake 350 degrees for 35-40 minutes. We hope this recipe makes those hectic days a little less stressful with more time enjoying your family. This is a great item that you can separate into individual servings for lunches. 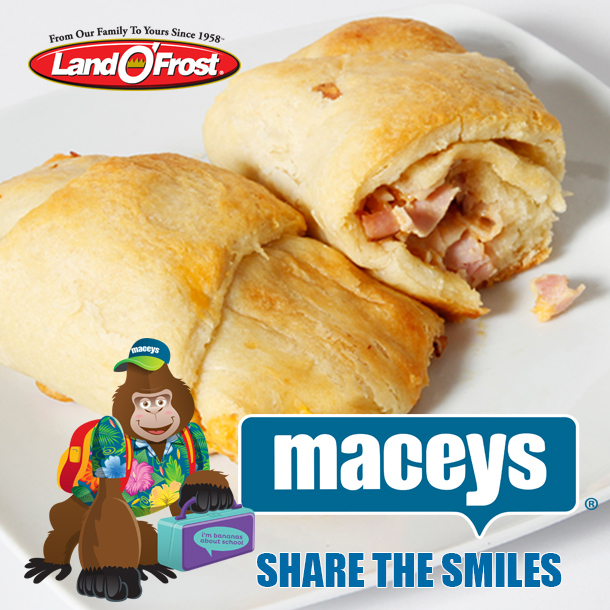 Don’t miss out on your chance to enter to win a year of free Land O’Frost deli meat. Learn how you can enter to win here. Chop ham, turkey, broccoli and onion. Add parsley, cheese, mustard and mayo to meat mixture; mix well. Unroll crescent dough separate into 16 triangles. Scoop the meat mixture onto the widest end of each triangle. Bring the outside points of the triangles up over the filling and tuck under the dough at center of ring. We hope you enjoy this ring of goodness as either an easy to make dinner or made fresh in the morning for you to enjoy at lunch. Thanks for spending some time on the Macey’s blog. Happy Shopping! Join Macey’s for Free Cooking and Community Classes this Fall! Fall is here and with that comes all your favorite Fall activities. In between your corn mazing and apple picking make sure you carve out some time to join Macey’s for free cooking and community classes. 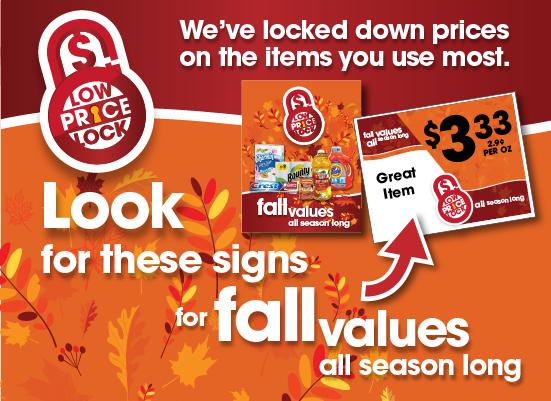 Call your local Macey’s to see what they have on the Fall agenda. Below is the schedule for the Providence Macey’s! Thursday, October 2nd @7pm: Delectable Desserts: One can never get enough of a great cheesecake or a decadent 3-layer chocolate cake right? Whatever your guilty pleasure, you will want to check this class out! This class taught by Trina Thomas will show off her unique twist on old favorites-even if you think you already have the best recipe around. Tuesday, October 7th @ 7pm: Breakfast: Let’s face it-most of us are too busy rushing out the door to sit down for a hearty breakfast these days-but that doesn’t mean we should skip it altogether. The Food Sense Girls are going to show you just how easy it is to work in a breakfast that is quick-and good for you! Thursday, October 9th @ 7pm: Gluten Free: The valley is filled with people allergic to everything from tree nuts to pet dander, but there is a special group that often gets the raw end of the deal when it comes to food-the Gluten Intolerant group. Aaron Preece is just one of those individuals who is unable to handle gluten products, and he wants to show you that you don’t need to put up with cardboard flavored food anymore. He will show you that great recipes without gluten are out there for the taking. Tuesday, October 14th @ 5:30pm: Diabetics Delight: Sugar is in everything and we try to avoid it but sometimes foods like brownies, candy, and donuts are too tempting to resist. So do we just avoid anything that tastes half decent? Of course not! This class will be showing off different recipes that are low in sugar and high in delightful flavor. Tuesday, October 21st@ 7pm: Sultry Soups: The fire is lit, and blankets are wrapped around our chilled arms and legs-but it isn’t quite doing the trick. Sometimes when the autumn chill is rapping hard at the door, the best medicine is a good hearty soup. Relda Sandgran wants to show off more of her divine soup recipes that will warm you from the inside out. Wednesday, October 29th @ 7pm: Fall Fanatics Wanted: The fall season is one of the most colorful and enchanting times of the year, and the best part is all the different recipes that we set aside just for this season. Alissa Weller has a stockpile of recipes that she is just dying to show off that will remind you why autumn is clearly the best season.